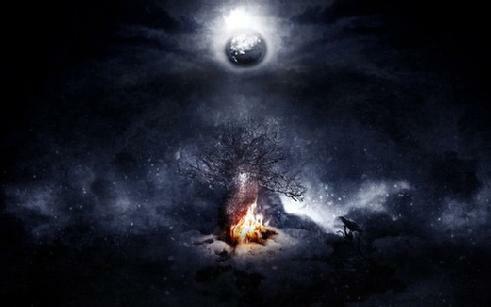 The Winter Solstice is the time when the light is reborn from the darkness of the womb of Winter. the real message of transformation is going to come. "From the dark moment comes the light." 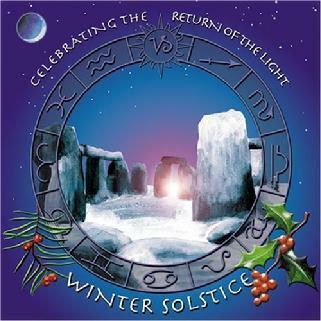 The December solstice marks the shortest day and the longest night in Northern Hemisphere. If you live in the Northern Hemisphere, you can notice the late dawns and early sunsets and the low arc of the sun across the sky each day. You might notice how low the sun appears in the sky at local noon. Around the time of the December solstice, it’s the longest noontime shadow of the year. 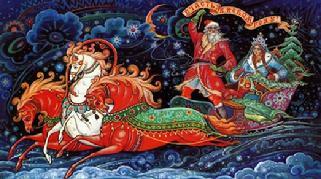 The Winter Solstice is "the first day of Capricorn." 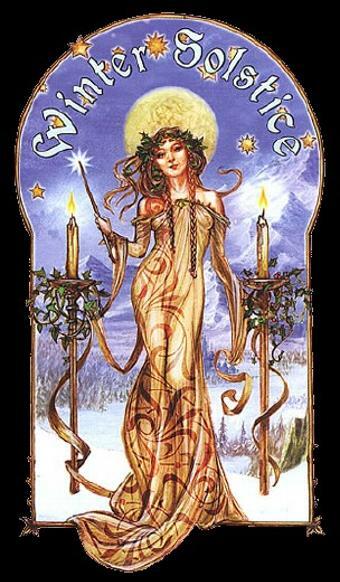 The Sun in Capricorn represents a new beginning of life force and resurrection from the dead of winter and a new initiatory power and strength as the days begin to increase in length. 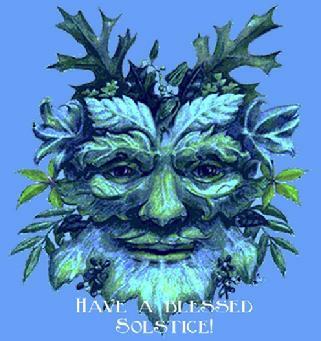 Northern traditional peoples and contemporary Neo-pagans celebrate the Winter Solstice as "Midwinter's Day" (the shortest day and longest night) and the entire midwinter season as "Yule". 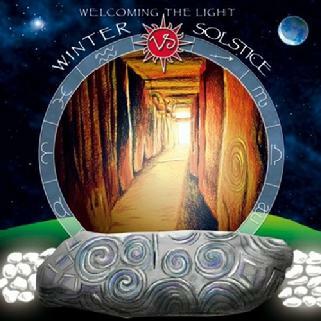 At the Winter Solstice on Midwinter's Day, around four and a half minutes after sunrise, the rising sun shines down the 'roof-box' (a specially contrived opening directly above the main entrance) directly along the long Neolithic passage graves of Newgrange (at County Meath, Ireland), illuminating the inner chamber and revealing the carvings inside, notably the triple spiral on the front wall of the chamber. This illumination lasts for approximately 17 minutes. As the room gets flooded with sunlight, it signaled that the days would start to get longer again. (When the monument was constructed, however, the first light would have occurred at sunrise in the form of a very narrow beam bisecting the chamber. Today the first light enters about four minutes after sunrise, but calculations based on the precession of the Earth show that 5,000 years ago, first light would have entered exactly at sunrise.) Newgrange predates the astronomical structures of Stonehenge by 1,000 years and as such may be the oldest astronomically orientated structure in the world. 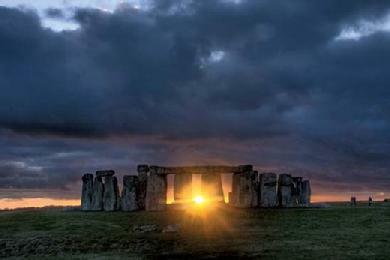 The giant stones of the neolithic monument (at Wiltshire, England) of Stonehenge, aligned to the movements of the sun, have marked the time of the Winter Solstice for some 3,000 years. 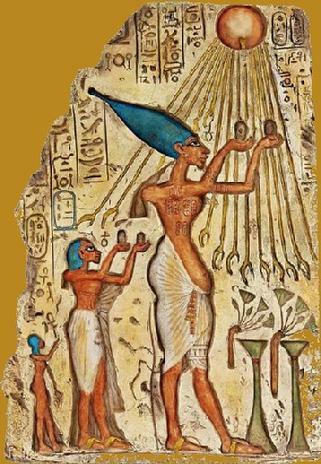 The stones were shaped and set up to frame at least two important events in the annual solar cycle: the midwinter sunset at the Winter Solstice and the midsummer sunrise at the Summer Solstice. Stonehenge is carefully aligned on a sight-line that points to the Winter Solstice sunset (opposed to Newgrange, which points to the winter solstice sunrise, and the Goseck circle, which is aligned to both the sunset and sunrise). It is thought that the Winter Solstice was actually more important to the people who constructed Stonehenge than the Summer Solstice. At Stonehenge, to this day, crowds of people arrive early on the solstice morning to watch the sun rise ("here comes the sun"), which is set to rise at 8:09 a.m. local time at Stonehenge. At the solstice sunset, it appears to set framed between the arches of the monument signifying the midwinter sunset. 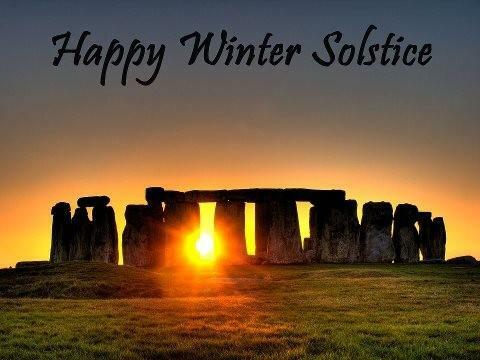 The ancient pagans knew that the Winter Solstice was the longest night of the year ("Solstice Night") and that it meant the sun was beginning its long journey back towards earth. 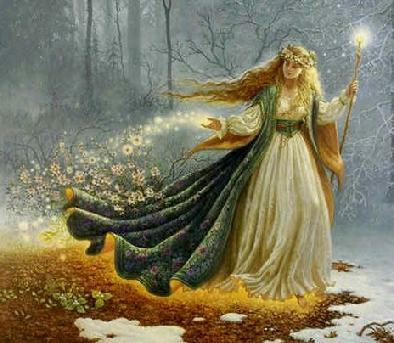 It was a time of celebration and rejoicing in the knowledge that soon the warm days of spring would return and the dormant earth would come back to life. It was out of the darkest night that the "Sun King" was reborn. “The black moment is the moment when the real message of transformation is going to come. 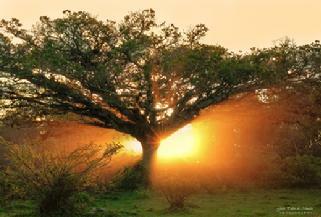 At the darkest moment comes the light.” – Joseph Campbell. "The Return of the Sun King"
Let this darkness be a bell tower, and you the bell. As you ring, what batters you becomes your strength. 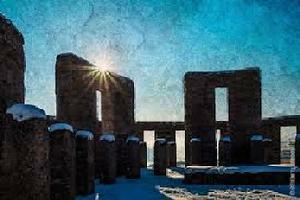 At the Winter Solstice, Neo-pagans gather at the famous megalithic stone circle Stonehenge to celebrate the sunrise at the shortest day of the year –- an event claimed to be more important in the pagan calendar than the Summer Solstice, because it marks the "re-birth" of the Sun for the New Year. 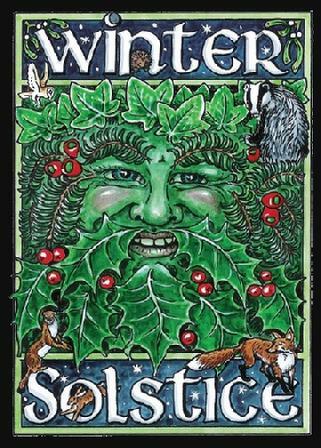 The Winter Solstice has been ritually celebrated by humankind for probably 25,000 years. Looking at the Winter Solstice from an astronomical perspective, because of the precession of the equinoxes, the earth (i.e., the Southern Hemisphere) is actually nearer the sun in January than it is in June—by about three million miles, which is pretty much irrelevant to our planet. What causes the seasons is something completely different. The Earth leans slightly on its axis like a spinning top frozen in one off-kilter position. Astronomers have even pinpointed the precise angle of the tilt: 23.44 degrees off the perpendicular to the plane of orbit. This planetary pose is what causes all the variety of our climate; all the drama and poetry of our seasons, since it determines how many hours and minutes each hemisphere receives sunlight. Due to the earth's elliptical orbit, neither the earliest sunset nor the latest sunrise fall exactly on the Winter Solstice. 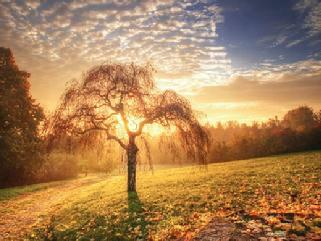 The earliest sunset occurs earlier than the solstice (by as much as two weeks), and the latest sunrise later. For one or two weeks surrounding both solstices, both sunrise and sunset get slightly later or earlier each day. The Winter Solstice occurs exactly when the earth’s axial tilt is farthest away from the sun at its maximum of 23.5 degrees at the South Pole. 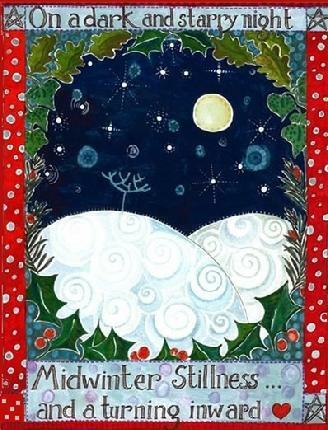 Though the Winter Solstice lasts an instant in time, the term is also colloquially used (like "Midwinter") to refer to the day on which it occurs. For most people in the high latitudes this is commonly known as the shortest day when the sun has its lowest arc in the sky. 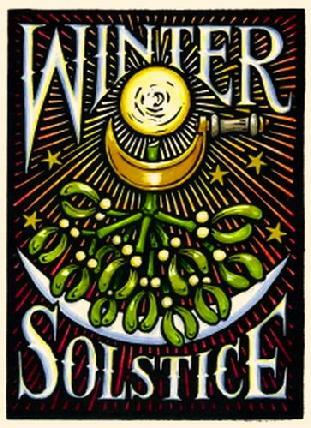 Thus the seasonal significance of the Winter Solstice is in the reversal of the gradual lengthening of nights and shortening of days. 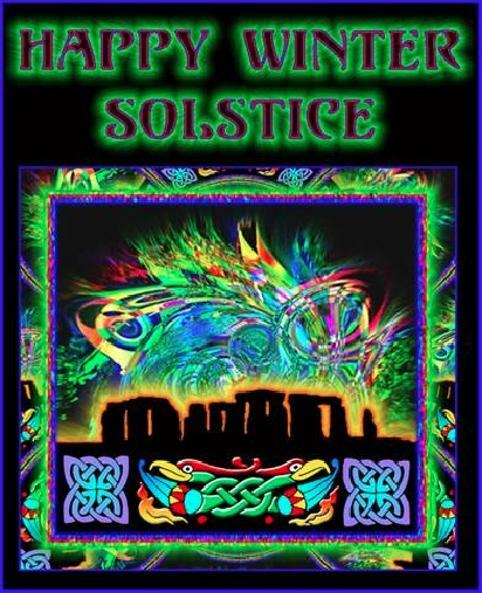 Depending on the shift of the calendar, the Winter Solstice occurs some time between December 21 and December 22 each year in the Northern Hemisphere, and between June 20 and June 21 in the Southern Hemisphere. Aside from the science of astronomical calculation, there is actually a very simple way to figure out the changing seasons, the tilt of the Earth's axis, the rough date of the solstice. 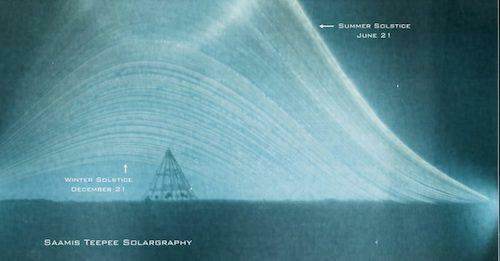 Look at how the rising (or setting) point of the sun changes during a year. 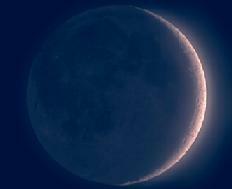 When the sun rises or sets the furthest to the south, it is Winter Solstice. (If it’s furthest to the north, it’s summer solstice.) Measuring the difference between the maximum altitude of the sun reached on the days of the solstices gives twice the tilt of the Earth's equator, and hence the tilt of the Earth's axis of rotation, and so forth. Like a spinning top, the Earth's orbit wobbles so that over the course of a precessional cycle, the North Pole traces a circle in space. This wobble causes the precession of the equinoxes. (The precession of the equinoxes is a measure of the slow clockwise motion of the equinoxes along the ecliptic due to the motion of the earth's axis of rotation around the pole of the ecliptic; the angular movement of the spin axis of an object around an axis fixed in space.) The position of the equinoxes and solstices shifts slowly around the earth's elliptical orbit. Precession changes the date at which the earth reaches its perihelion (the point in the path of a celestial body that is nearest to the sun), serving to amplify or dampen seasonal climatic variability. For example, the earth currently reaches its perihelion on January 3, close to the Northern Hemisphere's winter solstice. Precession is the Earth's slow wobble as it spins on axis. The precession of Earth wobbles from pointing at Polaris (North Star) to pointing at the star Vega. When this shift to the axis pointing at Vega occurs, Vega would then be considered the North Star. This top-like wobble, or precession, has a periodicity of about 23,000 years. At present, the Earth is at perihelion very close to the winter solstice. In our solar system, the Earth's orbital plane is known as the ecliptic, and so the Earth's axial tilt is officially called the "obliquity of the ecliptic." (Obliquity: the angle between the planes of the celestial equator and the ecliptic. In astronomy, axial tilt, or obliquity, is the angle between an object's rotational axis, and a line perpendicular to its orbital plane. The shape of the earth's orbit varies from nearly circular--eccentricity approaching 0.00--to more elliptical. Its orbital eccentricity is 0.017. Eccentricity is a measure of how an orbit deviates from circular.) Earth's axial tilt or obliquity varies from 24.5 degrees (maximum tilt) to 22.1 degrees (minimum tilt) over the course of a 41,000-year cycle. The current angle of the Earth is 23.44 degrees. It is this inclination of the Earth's axis of rotation that is the reason for the seasons. Like precession and eccentricity, changes in tilt thus influence the relative strength of the seasons, but the effects of the tilt cycle are particularly pronounced in the high latitudes where the great ice ages began. The axis remains tilted in the same direction towards the stars throughout a year and this means that when a hemisphere (a northern or southern half of the earth) is pointing away from the Sun at one point in the orbit then half an orbit later (half a year later), this hemisphere will be pointing towards the Sun. This effect is the main cause of the seasons. 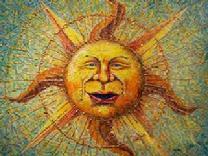 Whichever hemisphere is currently tilted toward the Sun experiences more hours of sunlight each day. To an observer on the equator standing all year long looking above, the sun will be directly overhead at noon in March (Vernal Equinox), then swing north until it is 23° 26’ away from the zenith in June (Summer Solstice). In September (Autumnal Equinox) it will be back overhead, then at the Winter Solstice in December it will be 23° 26’ away from the vertical again. 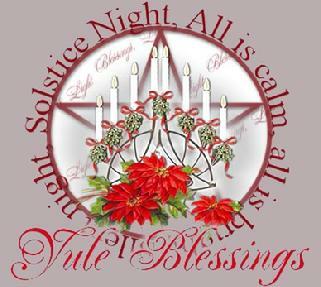 Depending on the Gregorian calendar, the December solstice occurs annually on a day between December 20 and December 23. December 20 and December 23 solstices occur less frequently than December 21 or December 22 solstices in the Gregorian calendar. The Gregorian calendar, which is used in most western countries, has 365 days in a common year and 366 days in a leap year. However, the tropical year, which is the length of time the sun takes to return to the same position in the seasons cycle (as seen from Earth), is different to the calendar year. The tropical year is approximately 365.242199 days but varies from year to year because of the influence of other planets. The exact orbital and daily rotational motion of the Earth, such as the “wobble” in the Earth's axis (precession), also contributes to the changing solstice dates. Again, the reason we have seasons is the 23.5 degree tilt of the Earth's axis. But sometimes people wonder if seasons have anything to do with the distance of the Earth from the sun. We know that can't be the case, because the seasons are opposite in the Northern and Southern Hemispheres. However, if we look at the Earth's orbit closely, we find that it is not exactly circular. Rather, it is an ellipse, which is an oval shape, or a very slightly flattened circle. The sun is at one focus of the ellipse. This means that the Earth's distance from the sun does vary. (It is important to note that Earth does not move at a constant speed in its elliptical orbit. Therefore the seasons are not of equal length: the times taken for the sun to move from the vernal equinox to the summer solstice, to the autumnal equinox, to the winter solstice, and back to the vernal equinox are roughly 92.8, 93.6, 89.8 and 89.0 days respectively. The consolation in the northern hemisphere is that spring and summer last longer than autumn and winter, when the December solstice occurs.) The point where the Earth is closest to the sun is called "perihelion" (from the Greek peri, close or near, and helios, meaning sun). Perihelion takes place on January 3, which, of course, is during winter for the Northern Hemisphere, and summer for the Southern Hemisphere. 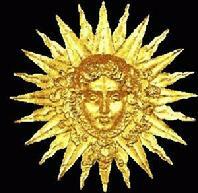 The point where the Earth is farthest away from the sun is called "aphelion" (Greek ap, away from, and helios, sun). 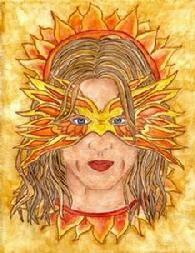 Aphelion takes place on July 4, which is winter for the Southern Hemisphere and summer for the Northern Hemisphere. So, actually the Earth and sun are closest during the Southern Hemisphere summer. On December 21 or 22, the earth has gone halfway around its orbit, and is opposite the point where it was on the summer solstice. The situation is exactly reversed. The southern hemisphere of the earth is tilted toward the sun, and the sun's rays are perpendicular to the earth's surface at 23.5 degrees south. This means that On December 21 or 22 the Earth is positioned so that The North Pole is tilted 23.5 degrees away from the Sun relative to the circle of illumination during the December solstice. On this date, all places above a latitude of 66.5 degrees N are now in darkness, while locations below a latitude of 66.5 degrees receive 24 hours of daylight. This is the subsolar point: the sun is directly overhead at noon at this latitude. This is called the Winter Solstice. 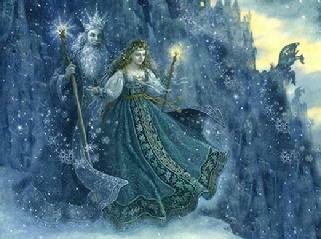 Here are some links to information about celebrating the Winter Solstice. The byline read: "IT'S THE END of the Mayan calendar, the release of the Hobbit and the first post-apocalyptic winter holiday. What do they all have in common?" What do this article and the GS's last two programs have in common? Admittedly, this commonality isn't at first apparent, since the writer uses a slightly different set of characters (but the astrological chart does use "Horus," "Santa," "Jesus," and "Odin" in its pop-culture, star-studded alignment), but if you read between the lines--and the set aside the fantastical juxtapositions of Gandalf and Santa (I mean, nothing like playing off Odinic northern Shamans on amanita muscaria mushrooms and That Jolly Old Elf)--there is a common theme. 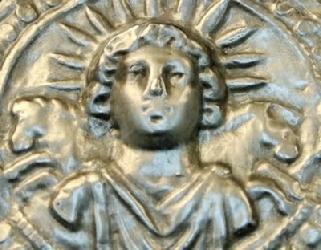 In any case, the GS is going to leave it to those interested, if they didn't hear the last two programs (both talking about the Winter Solstice sunrise in terms of the mythical symbolism behind the "return of the sun" and the story of the pagan dying-and-reborn sun-gods, who eventually were replaced by the story of the "Risen Son"; and both featuring the Beatles song, "The Sun King"), to go to the "Archived Musical Essays" page and listen to them (the latest one on the Christmas season will be uploaded by Monday night, Christmas Eve); and hear the answer for themselves. 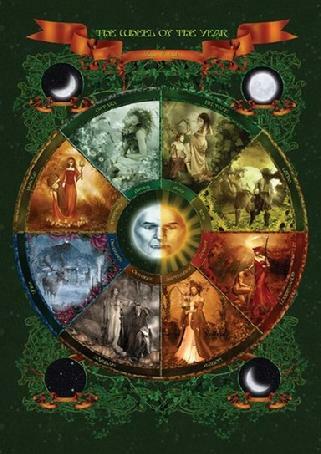 The GS is betting that you'll find the coincidence a meaningful coincidence (i.e., synchronicity), given his penchant for searching out the common mythical symbolisms that connect disparate things. In the words of the Good Times article: "Coincidence? 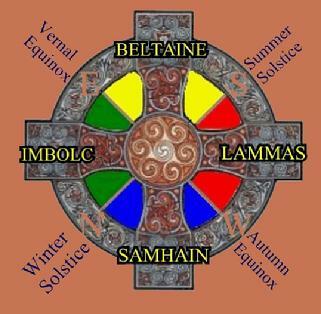 Take a look at the mythical symbolism behind all three events." 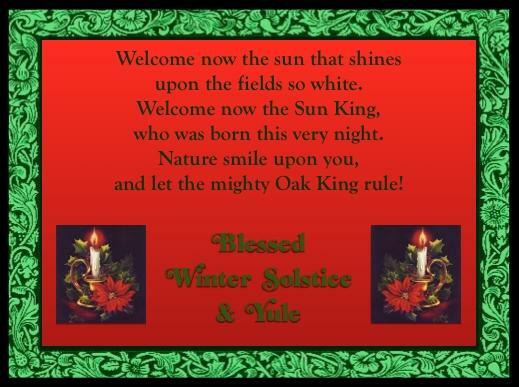 To continue on to the related "Winter Solstice / Christmas" special page, click on image below.